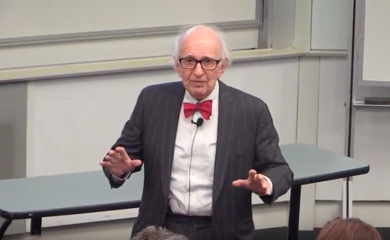 Video of Dr. Eric Kandel on "From Vienna to New York: Memory of a Life in Two Worlds"
Franco-Ashkenaz Mahzor for Yom Kippur. Fol. 50 recto, beginning of Kol Nidre. 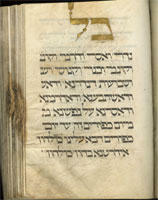 The word "Kol", at top, is illuminated in gold. Download Jewish Studies @ PENN Fall/Winter 2018 in PDF format.